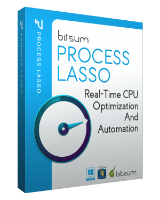 Process Lasso Pro 9 was available as a giveaway on December 6, 2018! Bought this one few years ago for like 8 bucks, a steel if you ask me. I didn't configure much and left everything on default, especially the ProBalance settings, as PL does everything for me, i don't have to be on the lookout all the time. My CPU isn't that great, so PL does all the hard work for me in the background. If you have a older CPU and lots of processes running in the background, PL will surely help you prioritizing what's needed most, which is a heavy task doing it all manually. Give it a go and see for yourself, as mentioned, depending on the CPU that's being used, impact is more or less drastic. On newer CPU's, you shouldn't see much of a difference. Bought this one few years ago for like 8 bucks, a steel if you ask me. I didn't configure much and left everything on default, especially the ProBalance settings, as PL does everything for me, i don't have to be on the lookout all the time. My CPU isn't that great, so PL does all the hard work for me in the background. If you have a older CPU and lots of processes running in the background, PL will surely help you prioritizing what's needed most, which is a heavy task doing it all manually. Give it a go and see for yourself, as mentioned, depending on the CPU that's being used, impact is more or less drastic. On newer CPU's, you shouldn't see much of a difference. How long is this licensed for? Does the download automatically know if you have 32 or 64 win version? How long is this licensed for? Does the download automatically know if you have 32 or 64 win version? 30 days of free updates. Must activate within those 30 days. Reactivation in the event of activation loss not guaranteed. This is a real license with an update period of 1 month. Meaning you can activate and use any version released from today through the end of the month. No charges, of course, as we don’t even collect billing info. You can choose to upgrade or renew if you want, but that is optional. You can stay with your last entitled build indefinitely. Jerry, the registration site says: " Freebie License Terms: 30 days of free updates. Must activate within those 30 days. Reactivation in the event of activation loss not guaranteed. This is a real license with an update period of 1 month. Meaning you can activate and use any version released from today through the end of the month. No charges, of course, as we don’t even collect billing info. You can choose to upgrade or renew if you want, but that is optional. You can stay with your last entitled build indefinitely. " "Process Lasso Pro Workstation - Monthly Subscription"
License says... "Process Lasso Pro Workstation - Monthly Subscription" How many months???? Been using Process Lasso for years. License expired and I missed the application. Thank you GAOTD for this freebie. great program, does as claimed, runs well on Win10 64bit. bratsch, only a year? Bah. Been using this software for quite a few years now - I find it particularly useful given my PC is now 8 years old. Installed easily, registration was easy, I like the GUI, seems very intuitive, at the moment says my computer is good, but if its better than Microsoft Task Manager I am all for it! check your email for the registration information. 3) Reactivation in the event of activation loss not guaranteed. Installed easily, registration was easy, I like the GUI, seems very intuitive, at the moment says my computer is good, but if its better than Microsoft Task Manager I am all for it! My System Processor : Intel(R) Core(TM) i7-4770 CPU @ 3.40GHz Memory : 32717MB(1600) Windows Version : Microsoft Windows 10 Home Video Adapter : NVIDIA GeForce GTX 645 ------------- The Readme Installation Unzip the package you've downloaded and run Setup.exe which is included in the package, to install and the software. To activate your free copy visit the page below, fill in the form and check your email for the registration information. Go to Help => Activate this software and enter ANY name and the registration code ----------------------------------------------------------------- https://bitsum.com/gotd_freebie_processlasso_v9_2018/ ----------------------------------------------------------------- You have to install it before the Giveaway offer for the software is over. Terms and conditions Please note that the software you download and install during the Giveaway period comes with the following important limitations: 1) No free technical support 2) 30 days of free updates 3) Reactivation in the event of activation loss not guaranteed. Been using it for years since Windows XP -- a lifesaver and highly recommended. Less dramatic difference seen on Windows 10 system due to advances in hardware and improved OS, but runs unintrusively and system is "smoother" (fewer occasional random hangs or slowdowns). There is much useful information on the bitsum.com website which explains the difference between the typical/ordinary "priority boosting" feature of other products and this one, and why you may not notice immediate "improvements" in speed/performance. If you install it and do not immediately experience any catastrophic problems, I suggest you leave it installed for at least a few days (and through a few system restarts) to better judge its effects before uninstalling it. Been using it for years since Windows XP -- a lifesaver and highly recommended. Less dramatic difference seen on Windows 10 system due to advances in hardware and improved OS, but runs unintrusively and system is "smoother" (fewer occasional random hangs or slowdowns). There is much useful information on the bitsum.com website which explains the difference between the typical/ordinary "priority boosting" feature of other products and this one, and why you may not notice immediate "improvements" in speed/performance. If you install it and do not immediately experience any catastrophic problems, I suggest you leave it installed for at least a few days (and through a few system restarts) to better judge its effects before uninstalling it. I only come to GOTD nowadays for the adverts for cheap black whores. Today I’ve only got little white girl whores in my adverts. How do I get the black whores adverts back? I only come to GOTD nowadays for the adverts for cheap black whores. Today I’ve only got little white girl whores in my adverts. How do I get the black whores adverts back? I've used PLasso for years - mainly on XP and 8.1.1. It has saved me on many occasions when a program has crashed or become unresponsive. I have been able to go into PLP find the program pause it switch to other programs in memory and exit them gracefully (saving all the work). I have not used it on W10 (multi-core) but as mike says (#18) it is easy to start/stop on demand. I have used free Bitsum Process Lasso and free Microsoft SysInternals Process Monitor to MANUALLY find and SUSPEND an infection, giving me time to figure out a plan to defeat it and recover from it. In free Bitsum Process Lasso, I also added the infection program to [ Configure disallowed processes ... ] so I could even reboot and continue to troubleshoot and hunt down the infection and all it's debris without fear of it actually running. But neither program has the savvy to suspend a bad program automatically. There are ways to log in as a remote user when local users are blocked, see utilities from free SysInternals and free Teamviewer and free ... oh, there are dozens of free remote access programs ... but you have to figure out how to get them installed and running if you don't have them pre installed and running all the time anyway. Otherwise, pull the drive and clean it as a second drive in another computer.
. [ AJNiteOwl ], I have used free Bitsum Process Lasso and free Microsoft SysInternals Process Monitor to MANUALLY find and SUSPEND an infection, giving me time to figure out a plan to defeat it and recover from it. In free Bitsum Process Lasso, I also added the infection program to [ Configure disallowed processes ... ] so I could even reboot and continue to troubleshoot and hunt down the infection and all it's debris without fear of it actually running. But neither program has the savvy to suspend a bad program automatically. There are ways to log in as a remote user when local users are blocked, see utilities from free SysInternals and free Teamviewer and free ... oh, there are dozens of free remote access programs ... but you have to figure out how to get them installed and running if you don't have them pre installed and running all the time anyway. Otherwise, pull the drive and clean it as a second drive in another computer. . Tried to download four times from the link you sent, but every time it came out "damaged". It looks like just what I need, since there is a windows process that continually runs and pushes my cpu to %, really messing with things. I easily downloaded and installed the free version from their website, and if it actually does what it says it would be worth buying I think. We'll see. hiteckee, There should be other ways to stop those two Microsoft tasks from running (they're not active on my Windows 10 system, so I probably switched them off via some configuration option or other ages ago, sorry but cann't recall how). system requirement state windows servers 2012/16 but key won't activate. Hi. Everything went well until activating the program. I have a net connection and no firewall but still fail to accept the activation code saying it's problem with connection. Any advice? I'm running win 8.1 on Zenbook laptop. thanks. I used a proxy then it worked. then it's my country (Syria) is blocked by PLP server. eh. thanks for the game. I finally broke down and bought this last month. I love it. I've loved it for years. This is a great piece of software that does what it says and it can save you in a bad situation. I love knowing exactly what's running at any given moment. If you don't have it, get it now while you have a chance. Even the free version is great. How can you go wrong? windows 10 64 bit: Increased boot time by 2 minutes; however, once booted, browsers loaded much faster and faster response time of programs after boot. Computer is an hp omen; 17 inch laptop. I am not bothered by the longer boot time as long as once booted, I get better response when working. I have used this software for over a year, purchased the life time updates when it was first offered, using it on a Windows 7 desktop and 2 laptops, on 3 Windows 10 laptops, Get frequent updates, Have had no problems what so ever. Bitsum Technologies Software is good stuff. Thank You. Had a previous GAOTD version from May 2017 (eng # 3420400 9.0.0.384). It worked well for a bit under a year, but eventually was unable to (for lack of a better term) keep the speed up on priority programs like Photoshop. Today's GAOTD installed eng # 3980100 9.0.0.538 During install some of the option choices could do with more clarification. For instance, does "Ask startup and scope..." mean it will prompt for configuration choices at every startup, or once, do you need this module installed to be able to configure it ? What does the "Reset..." install option do, etc. These are more confusing than they need to be. On the plus side, when started it appears to have picked up my registration from the previous version without having to register the new copy. Hope the new version resorts it's effectiveness. Thank you GAOTD & Bitsum. Had a previous GAOTD version from May 2017 (eng # 3420400 9.0.0.384). It worked well for a bit under a year, but eventually was unable to (for lack of a better term) keep the speed up on priority programs like Photoshop. Today's GAOTD installed eng # 3980100 9.0.0.538 During install some of the option choices could do with more clarification. For instance, does "Ask startup and scope..." mean it will prompt for configuration choices at every startup, or once, do you need this module installed to be able to configure it ? What does the "Reset..." install option do, etc. These are more confusing than they need to be. On the plus side, when started it appears to have picked up my registration from the previous version without having to register the new copy. Hope the new version resorts it's effectiveness. Thank you GAOTD & Bitsum. 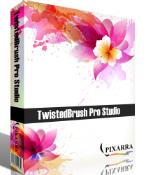 I first downloaded Process Lasso Pro when it was offered as a giveaway here years ago. I soon bought it to continue to upgrade and it is an absolutely essential program. Do NOT miss it if you don't have it yet. It substantially speeds up the computer, especially as the computer gets older and more and more software is added. I can't recommend it highly enough. It's a breeze to use and you do not have to know anything technical to use it. This seems to be a product that allows free updates from earlier GOTD. I've had it for a year or so, yes on a win10-64 system. Just checked my version and it matches what is being given today and recall a couple times it prompted to update. This is unlike Clean Master that seems to have reverted to "Free" from Pro and Advanced system care constantly reminding me to upgrade for $$$. I used Process Lasso Pro (PLP) for many years. Had it on XP, then Win 10. About a year ago I bought a super-super fast computer, loads of RAM and 1Tb SSD drive... a bomb! Then, I installed PLP over it. Very soon, the computer started to have hicups. I checked everything, thinking it was some other installation. Then, on a hunch, I decided to uninstall PLP, lo and behold, all the speed and internal management came back by enchantment! Moral of the story: If you have an "old" OS, such as XP or below, PLP "might" help you (if you know how to set it up that is). If you have a more recent (and fast computer), PLP "might" slow it down. PLP is an old software, built for old OS systems. No use with today's fast cars! I used Process Lasso Pro (PLP) for many years. Had it on XP, then Win 10. About a year ago I bought a super-super fast computer, loads of RAM and 1Tb SSD drive... a bomb! Then, I installed PLP over it. Very soon, the computer started to have hicups. I checked everything, thinking it was some other installation. Then, on a hunch, I decided to uninstall PLP, lo and behold, all the speed and internal management came back by enchantment! Moral of the story: If you have an "old" OS, such as XP or below, PLP "might" help you (if you know how to set it up that is). If you have a more recent (and fast computer), PLP "might" slow it down. PLP is an old software, built for old OS systems. No use with today's fast cars! JimK, exactly my experience as well. I uninstalled PLP to resolve my severe Win 10 instabilities. Actually I've found Process Lasso Much more useful with win10 than it was with win7 & earlier, because 10 has so much more going on in the background compared to those earlier versions. But I think you're correct in that it helps more with lowered powered CPUs, which are actually more common today than several years ago. That said, it's a really simple manner to set Process Lasso to not start with Windows, and it's easy to start or close the app... While I have it running all the time on our low powered devices, on this PC for example I have it off right now -- it makes no sense with CPU usage between 0 & 1%. When I'm doing something CPU intensive I'll turn it on to see if it will help in that situation, and if not, I'll turn it back off, because like any software it will take some amount of CPU processing. I've NEVER had it cause any problems, but then I've no idea what running [background & foreground] on your rig. JimK, Actually I've found Process Lasso Much more useful with win10 than it was with win7 & earlier, because 10 has so much more going on in the background compared to those earlier versions. But I think you're correct in that it helps more with lowered powered CPUs, which are actually more common today than several years ago. That said, it's a really simple manner to set Process Lasso to not start with Windows, and it's easy to start or close the app... While I have it running all the time on our low powered devices, on this PC for example I have it off right now -- it makes no sense with CPU usage between 0 & 1%. When I'm doing something CPU intensive I'll turn it on to see if it will help in that situation, and if not, I'll turn it back off, because like any software it will take some amount of CPU processing. I've NEVER had it cause any problems, but then I've no idea what running [background & foreground] on your rig. 2. Avast free (most other Antivirus program won't let XP update them, this one will). StrayCat, Many thanks for this! I have also found that XP only works safely on the Internet with:- 1. Firefox (all other browsers don't like XP) 2. Avast free (most other Antivirus program won't let XP update them, this one will). This is really great for those who like to tweak your own PC , especially when you need the best CPU energy efficiency! Already own a paid version, just here to recommand. KK, please do correct me IF I am wrong BUT it is my understanding that PLP does NOT adjust the power cunsumption parameters of a systems CPU, it does NOT adjust the CPU clock or voltages in response to any sensors it "purely" manages individual processes pre-emtive multitasking thread priority and, MAYBE but not recently tested, core affinity for selected processes. At BEST it reigns in badly designed programs that never co-operatively give up their CPU time-slice either due to bug or design by adaptively lowering the errant processes priority from Normal to below normal or even Idle priority levels which then increase the chance of Normal priority tasks getting their share of the CPU time. In those circumstances the CPU usage would remain 100% or whatever sub-multiple the number of cores but the other tasks would be able to gain CPU usage at the expense of the broken process so over all CPU would be maxxed out still and there would be NO improvement in CPU "energy efficiency" There would only be a potential improvement in system responsivenes and better CPU resource allocation WHEN there is a badly behaved process/thread. At other times when there are no badly behaved processes or buggy proccesses maxing out all cores it can use there will be NO discernable improvement in system performance and normally no discernable reduction in performance which has to occour just by having a few extra threads running on the system. I bought this after trying an earlier version from GOTD. Amazingly versatile software. More than I need, but good for analysis and granular control. Highly recommended. Process Lasso was a must in the past and I used it on many machines with single CPU and single core, however, the need for it diminished when the multi processors CPU arrived and 16G of ram installed. I do not see it as relevant as in the past, the difference in performance is negligible now with or out without Process Lasso. 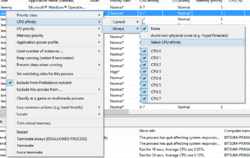 Win 10 does a very good memory and processes management and in some configurations with win 10, Process Lasso slows down the computer. I tried it years ago in an act of desperation on a Vista machine. It didn't do a thing. I did discover Vista was trying to use 110% of the available ram. I upgraded ram and that helped some, but, I'm afraid there really isn't any help for Vista. As far as this program, I can't really endorse it. If you think it helps, go for it. If you wish to get the most out of your computer replace your obsolete HDD by SSD and get more and faster RAM if the installed is not enough. Karen, first time I hear something like that. However, this is not the right place to discuss your problem. I can only suggest you get technical assistance. Regarding the subject, I don't recommend using "miraculous" applets unless you are expert. Karen, first time I hear something like that. However, this is not the right place to discuss your problem. I can only suggest you get technical assistance. Regarding the subject, I don't recommend using "miraculous" applets unless you are expert. A bottom end Intel Atom CPU won't perform as well as Celeron, which won't perform as well as an i5, which won't perform as well as an i7 and so on. Your device [PC, laptop, tablet etc.] will only go as fast as your wallet allows -- you're never going to get i7 performance from an i3. That said, to increase the performance of a Windows device [PC, laptop, tablet etc.] you need to 1st determine any bottlenecks, & then try to eliminate those as possible. More RAM Will Not help if the device has plenty for whatever tasks it's performing. Faster RAM may or may not help depending on system brand/architecture, e.g. AMD Ryzens like fast RAM, but for current Intel PCs it's meh. When it comes to drive speed, again it depends on if that's a problem. The cheapest SSDs may allow Windows to start up faster, but may not increase the performance of the tasks that device is used for. And if you go for a faster [more expensive] SSD, or a faster yet NVMe drive, things like the time it takes for Windows to start may not be any better than using a cheaper, slower SSD, because with even a cheap SSD that bottleneck no longer exists. Luis, FWIW... A bottom end Intel Atom CPU won't perform as well as Celeron, which won't perform as well as an i5, which won't perform as well as an i7 and so on. Your device [PC, laptop, tablet etc.] will only go as fast as your wallet allows -- you're never going to get i7 performance from an i3. That said, to increase the performance of a Windows device [PC, laptop, tablet etc.] you need to 1st determine any bottlenecks, & then try to eliminate those as possible. More RAM Will Not help if the device has plenty for whatever tasks it's performing. Faster RAM may or may not help depending on system brand/architecture, e.g. AMD Ryzens like fast RAM, but for current Intel PCs it's meh. When it comes to drive speed, again it depends on if that's a problem. The cheapest SSDs may allow Windows to start up faster, but may not increase the performance of the tasks that device is used for. And if you go for a faster [more expensive] SSD, or a faster yet NVMe drive, things like the time it takes for Windows to start may not be any better than using a cheaper, slower SSD, because with even a cheap SSD that bottleneck no longer exists. Karen, try to always have some free space on the drive - at least 10%. Also trim the drive often - once a week, or after you filled and then cleaned the space. Karen, try to always have some free space on the drive - at least 10%. Also trim the drive often - once a week, or after you filled and then cleaned the space. Luis, SSd are not able to replace HDD yet I mean to exspensive for big sizes compared to HDD I mean 4TB or bigger in SSD not gonna happen. Wipeout, ditto. I need huge SSDs, but they are so expensive! Ant, use two disks: 256GB SSD for OS and programs + 1-2-3TB internal or external HDD (usb 3.0 or thunderbolt) for media. plump, ...use ... disks: 256 GB SSD....I also do, an SSD for OS and programs, an HD for everything that has to do with Documents + an external HD where everything comes up that I think is important to me. plump, Not working for me. 1 x 512gb SSD for OS and programs that need to be reinstalled if OS is reinstalled and the few games that takes to long to load on a HDD. 1 HDD is for all my games so I don't have to reinstall them 2½TB used atm all playable as they are fully installed, love my games. 1 HDD for Movies I own so I don't have to go looking for the Disc I put them on my HDD for watching much easir. 1 For Storage basic storage for everything. 1 For Documenst, Desktop, Pictures basicly everything important so after Reinstallation I can point to this location and not have to worry of having to find links, files you name it. no SSD setup can at current price range make up for this replacing all 5 items will cost me around 400 pounds. plump, Not working for me. My setup is simple. 1 x 512gb SSD for OS and programs that need to be reinstalled if OS is reinstalled and the few games that takes to long to load on a HDD. 4 x 4TB HDD. 1 HDD is for all my games so I don't have to reinstall them 2½TB used atm all playable as they are fully installed, love my games. 1 HDD for Movies I own so I don't have to go looking for the Disc I put them on my HDD for watching much easir. 1 For Storage basic storage for everything. 1 For Documenst, Desktop, Pictures basicly everything important so after Reinstallation I can point to this location and not have to worry of having to find links, files you name it. no SSD setup can at current price range make up for this replacing all 5 items will cost me around 400 pounds. This is not needed and will likely make your system slower, especially on Windows 10. You "might" see some benefit on XP. On an even slightly newer machine Process Lasso does nothing...I think the term is 'snake oil'. 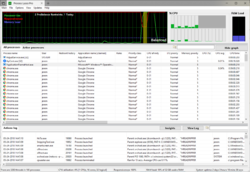 You can easily change the priority of various processes with Anvir Taskmanager...which is free. Actually Process Lasso has been quite useful with our lower powered Windows devices -- a couple of tablets & a miniPC running different versions of Intel Atom quad core CPUs & using Win10. Win10 uses more processes than earlier Windows versions, and those low powered CPUs can easily get overwhelmed. And it's unfortunately common for one or two of those Windows processes to monopolize the CPU, bringing everything else almost to a standstill. Process Lassos does quite well at evening things out, with performance on those lowly Atom chips becoming roughly equivalent to the more powerful i3 in my wife's 2-in-1. Mothman, Actually Process Lasso has been quite useful with our lower powered Windows devices -- a couple of tablets & a miniPC running different versions of Intel Atom quad core CPUs & using Win10. Win10 uses more processes than earlier Windows versions, and those low powered CPUs can easily get overwhelmed. And it's unfortunately common for one or two of those Windows processes to monopolize the CPU, bringing everything else almost to a standstill. Process Lassos does quite well at evening things out, with performance on those lowly Atom chips becoming roughly equivalent to the more powerful i3 in my wife's 2-in-1. mike, Thanks for the advice! I have a license for PL purchased a few years ago, and hadn't reinstalled it on my latest system since I didn't think it would provide must benefit. I do have a Win10 tablet that I just installed PL on - and it makes a huge difference! It had been somewhat laggy since Win10 upgrade, and is now running well above it's (atom) weight class! How can I activate pro license ? Just wanted to add for those who may be interested. Bill2's Process Manager also allows you to change CPU Affinities if you want to with the rules you create for it. None of these types of programs can improve things. In fact they slow things up and they don't do a top notch job. The last time I had one of their products it slowed everything down to a crawl. And there is no prof just here say of what people say and that is just not good enough. Unless they can give you a guarantee and a full lifetime license then no way I would I touch their stuff again. None of these types of programs can improve things. In fact they slow things up and they don't do a top notch job. The last time I had one of their products it slowed everything down to a crawl. And there is no prof just here say of what people say and that is just not good enough. Unless they can give you a guarantee and a full lifetime license then no way I would I touch their stuff again. The old saying still applies: Nothing Ventured, Nothing Gained. If you're sure it won't work, & so don't give it a try, then you will definitely not see any benefits. If you give this small app a try, then you at least open up the possibility that performance will improve. And if it doesn't, don't use it, no harm done. Worst case someone's out 3 or 4 minutes of their time it takes to install Process Lasso. Taylor, The old saying still applies: Nothing Ventured, Nothing Gained. If you're sure it won't work, & so don't give it a try, then you will definitely not see any benefits. If you give this small app a try, then you at least open up the possibility that performance will improve. And if it doesn't, don't use it, no harm done. Worst case someone's out 3 or 4 minutes of their time it takes to install Process Lasso. Bob, I would say, search for it yourself. A few years ago I used Process Lasso a few DAYS and I did not see any improvement. Deleted! Well, the CPU itself has nothing to do with what processes Windows throws at it, or how many, so in that sense there's nothing a new CPU can do that an older one cannot. That said, the number of CPU cores *might* help, and the latest generations of the highest end chips have more cores than ever, but if it helps, and by how much, all depends on how the software that's run in Windows is written. Lots of apps & games still only utilize one or two cores, regardless. Jhonny cabs, Well, the CPU itself has nothing to do with what processes Windows throws at it, or how many, so in that sense there's nothing a new CPU can do that an older one cannot. That said, the number of CPU cores *might* help, and the latest generations of the highest end chips have more cores than ever, but if it helps, and by how much, all depends on how the software that's run in Windows is written. Lots of apps & games still only utilize one or two cores, regardless. TerryE., You have to go with the times and not stay in the last century. If you see the difference with working on XP and W8, 8.1 and 10 you will certainly say, it is time to buy a new PC! mike, No unnecessary programs for me that help slow down the system! TerryE., Consider buying a new PC with Windows 8. 8.1 OS 10 instead of continuing on XP. I have used Process Lasso for half of the year. To be honest, it is perfect software. But I still not buy the Process Lasso, I can’t believe it is shown in the Giveaway site. I've been a fan of this program for quite a few years, now. Process Explorer is certainly a strong competitor for it, though, so if you're reluctant to pay the $36, you won't be far behind the super-geeks swanking about with Process Lasso. David J Wilson, "swanking about" what does that mean? Oh, I get it now. you meant "wanking"
David J Wilson, Oh, I get it now. you meant "wanking"
Bob, if you'd googled it you'd have seen: "display one's wealth, knowledge, or achievements in a way that is intended to impress others." Bob, no you don't. No I didn't. Not the same as wanking. Just because you won, there's no need to swank. Several years back I tried Process lasso, and after doing so, I purchased a family license with Lifetime Upgrades. Whenever I come across another user with a misbehaving machine, I have been known to swank a bit about Process Lasso. Bob, Not the same as wanking. I understood swanking the same as the Cambridge Dictionary explains it: Present participle of swank Swank: to behave or speak too confidently because you think that you are very important, in order to attract other people's attention and admiration: Just because you won, there's no need to swank. People around here don't swank about their money. Several years back I tried Process lasso, and after doing so, I purchased a family license with Lifetime Upgrades. Whenever I come across another user with a misbehaving machine, I have been known to swank a bit about Process Lasso. StrayCat, Thanks for that. I had a quick look at the link and it seems to describe what I am seeing in task manager on my PC when it goes slow (To be precise it hangs so I cant open task manager for a while then when I can open it I see 100% Disk). When I get some time I am going to go through the solutions. 100% disk usage means just that -- and that means that some other stuff that needs to read or write from the disk cannot, so that stuff waits, and things slow to a crawl. 100% disk usage can be caused by software misbehaving, or malware by intent, or because the disk itself is too slow, e.g. my wife's cheaper 2-in-1 has a really slow hard drive, but that only causes problems at certain times, like when win10 is doing an update. You *might* want to investigate that background process that's causing your problems further. D Murphy, 100% disk usage means just that -- and that means that some other stuff that needs to read or write from the disk cannot, so that stuff waits, and things slow to a crawl. 100% disk usage can be caused by software misbehaving, or malware by intent, or because the disk itself is too slow, e.g. my wife's cheaper 2-in-1 has a really slow hard drive, but that only causes problems at certain times, like when win10 is doing an update. You *might* want to investigate that background process that's causing your problems further. D Murphy, 100% disk usage was my big problem back then when I'm using a HDD. I switched to SSD and now the problem is non-existent. There's no amount of software will fix your slow HDD. You should invest in SSD, even a small GB option will do only for hosting your OS. Setting the priority of a process on Windows is of no use, nothing really happens tbh. 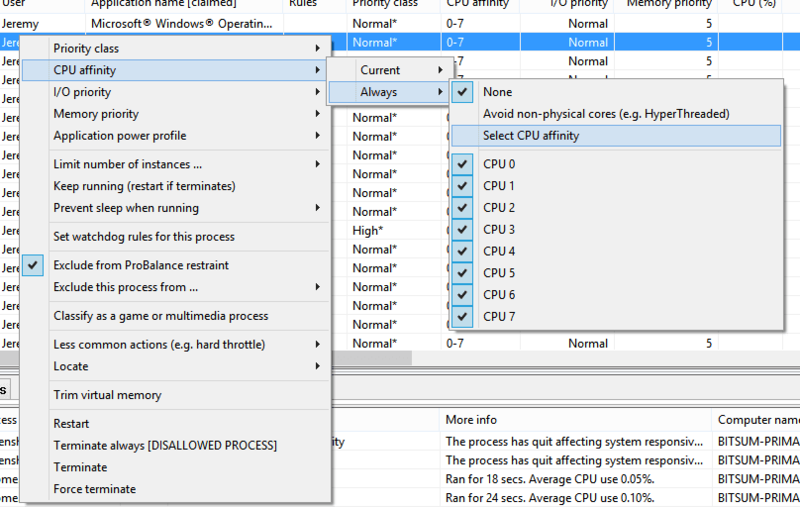 If a process CPU usage is high then change it's priority to High or Realtime whatever..
And if process is in background and no CPU usage then priority = low. Idk if it was a good idea to make it this complicated for a thing like Task Manager. You have done a good job making such a cool software and thanks for the giveaway but I'll stick to this classic freeware. Life is short to buy a task manager/manage process running in the background. Instead I'd do my work, shutdown the computer and go out in the sun, no kidding. Setting the priority of a process on Windows is of no use, nothing really happens tbh. Idk if it was a good idea to create an 'algorithm' for a simple thing like: + Getting all processes + Getting their used memory and CPU usage If a process CPU usage is high then change it's priority to High or Realtime whatever.. And if process is in background and no CPU usage then priority = low. Idk if it was a good idea to make it this complicated for a thing like Task Manager. You have done a good job making such a cool software and thanks for the giveaway but I'll stick to this classic freeware. https://docs.microsoft.com/en-us/sysinternals/downloads/process-explorer Life is short to buy a task manager/manage process running in the background. Instead I'd do my work, shutdown the computer and go out in the sun, no kidding. I've been using the program since the early days without any complaints whatsoever. Tarun, It doesn't hurt to give Process Lasso a try. :) I've been using the program since the early days without any complaints whatsoever. 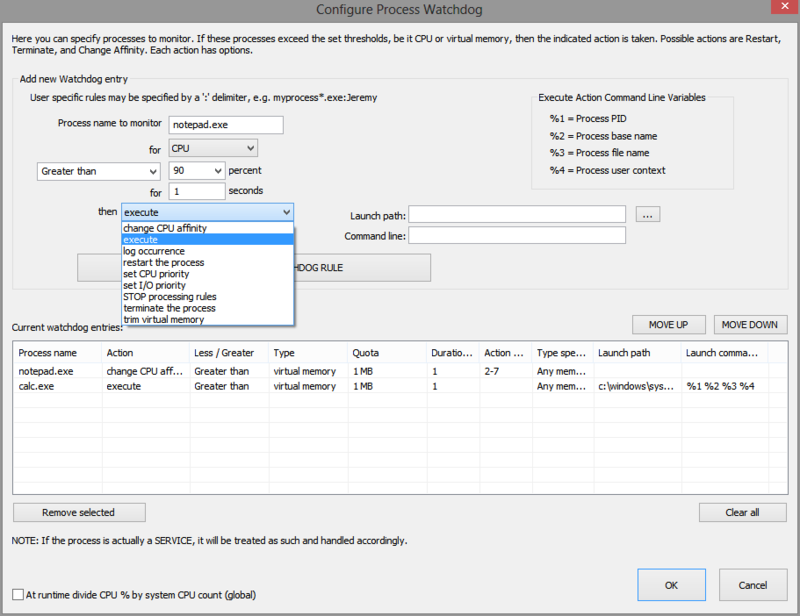 A cool feature in Process Lasso 9 is the "process watchdog" (go to options -configure process watchdog )to monitor a program and create a rule if the program exceeds a certain CPU% Take care. Tarun, You do not unsderstand how Microsoft Windows hybrid pre-emtive/co-operative multitasking system functions and how it goes wrong and how one can manually work around its weaknesses or PLP attempts to automate it with rules and algorithims. IF a badly behaved processes is hogging the CPU and making the system unresponsive you reduce the bad process pre-emptive priority from Normal to Below Normal lor Idle to let better behaved Normal priority processes obtain their access to CPU time slices. Processes that ordinarily have little to no countable CPU usage are NOT low priority but are simply CO-Operating with the other processes and politely giving up their CPU time-slice once they have completed enough processing for their idle state. They too have a Normal pre-emptive priority but do not need to be controlled by the pre-emtive multi tasking engine as they give back the CPU to the CPU scheduler long before the pre-emptive timer has to step in and interupt a process. Tarun, Process Lasso doesn't touch process priorities (they actually advise against it). I downloaded and installed Process Lasso the last time it was offered on GOTD. After a while it would generate popup messages saying an update was available which I just dismissed as I didn't think updates were provided in that version. About a week ago it updated itself to Pro v9.0.0.538x64 which is also listed on their homepage as the latest version and seems to be running fine. Anyway think it's a very good product but if you have it running from before you might want to check to see if you need this update. Recommended & thanks. I downloaded and installed Process Lasso the last time it was offered on GOTD. After a while it would generate popup messages saying an update was available which I just dismissed as I didn't think updates were provided in that version. About a week ago it updated itself to Pro v9.0.0.538x64 which is also listed on their homepage as the latest version and seems to be running fine. Anyway think it's a very good product but if you have it running from before you might want to check to see if you need this update. Recommended & thanks.